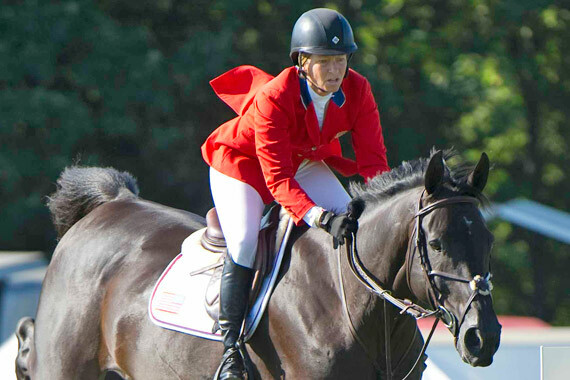 It’s official – Beezie Madden’s horse Cortes ‘C’ is the best showjumper in the world. Cortes ‘C’ was ridden by four riders including Madden in the “Final Four” competition that brought the Alltech FEI World Equestrian Games to a close in Normancy on Sunday. He jumped four clear rounds to earn the “Best Horse” title, with Madden winning the bronze medal. The 12-year-old Belgian Warmblood gelding, owned by Abigail Wexner, also jumped four out of five clear rounds in the Team Championship and Individual Qualifiers last week, in addition to being the only horse to produce four clears on Sunday. “I’m so, so proud of my horse. I’ve always thought he was a championship horse and I think he proved that,” Madden said. Last month Madden and Cortes ‘C’ were part of the US team that won the Furusiyya FEI Nations Cup of Great Britain, before taking out the Longines King George V Gold Cup competition at Hickstead, England, and last season they won the $125,000 FEI W-Cup Grand Prix CSI3* in Florida. Madden has ridden Cortes C (Randel Z x Orchidee van de Tombeele by Darco) since 2010. before that he was ridden by Belgium’s Gregory Wathelet. Cortes C was bred by Bart Clement in Belgium.